I know most of you have heard the story about the tortoise and the hare. Remember the hare started out quickly but was eventually over taken by the more methodical tortoise? Well some powerlifters remind me of that story. He wants to get to his destination NOW. He does everything fast and out of control. He is prone to exhaustion easily. He wants to arrive at the desired destination. He is very methodical and deliberate. He is very durable and resilient. When the “powerlifting hare” gets into the sport of powerlifting what do you think happens? He goes to his first meet and finds out that he isn’t the strongest lifter there. He wants to be the strongest and second place is not an option for him. He needs to place 1st quickly. Powerlifting is a sprint for him not a marathon. He looks around and he sees that many of his competitors are wearing supportive gear. In his exuberance to achieve his goal NOW, the next thing you know he has purchased a bench shirt, squat suit, groove briefs, erector shirt and wraps. He soon figures out that these items do not help him all that much. Why, because he doesn’t spend the time to learn how to use the supportive gear and more importantly he is still physically weak. What do you think he does next? He starts using performance enhancing drugs. Do you see where I am going with this? 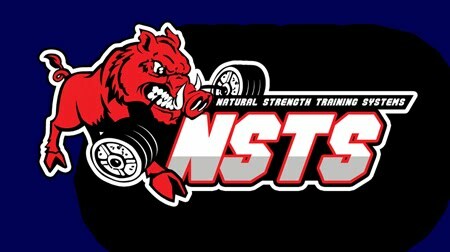 Conversely, the powerlifting tortoise goes to his first meet and also finds out he isn’t the strongest lifter there. He also wants to get stronger and eventually work his way to the top. He knows that it may take a little time but he is willing to work at it. He also sees that many of his competitors are wearing supportive gear but decides to build a strong foundation before he personally uses the support. He keeps training and continues to learn about the sport of powerlifting. After working hard and developing a strong physical foundation he decides to try out the supportive gear. He works very hard learning how to use the supportive gear as he continues to work on his raw strength. At this point he has spent far more time and effort than his counterpart has expended. What happens next? The “powerlifting hare” may start out fast. His numbers may jump up quickly because of the supportive gear and drugs. He may appear to be a rising star but he is likely to become a falling star. He has not worked for what he has achieved. He has essentially bought his numbers with money instead of grueling mental and physical work. His foundation is built on sand. Eventually, the “tortoise powerlifter” becomes one of the strongest raw powerlifters around and he is unbeatable when lifting with supportive gear. Why, because over the course of time he methodically worked his plan to perfection. He became an expert with his supportive gear and he became very strong physically. He understood that it takes hard work and time to gain strength. The Tortoise always wins in the end no matter how many times you read the story. Our society in general wants and demands instant gratification. That way of thinking has permeated powerlifting and is demonstrated by many lifters that have resorted to using performance enhancing drugs to achieve their goals. The need for instant gratification can destroy a powerlifter. If you need instant gratification like the proverbial hare who tries to turn a marathon into a sprint, powerlifting may not be what you are looking for. To achieve powerlifting goals, one must learn from the tortoise and work hard over an extended period of time. It may seem like you are never going to reach your goals but in the long run you will far outdistance the lifter that is reckless in their approach. There is no free lunch when it comes to true strength. You must earn it. If you acquire strength artificially it will not last. When you stop taking the chemicals you are left with the truth. True strength can only be gained over time through consistently working smart and hard. I guess the moral of the story is there is no fast way to the top. Real strength is in the mind and body. It isn’t found in the equipment and drugs. Exceptional strength certainly doesn’t come instantly.